GWEDE Mantashe, South Africa’s mines minister, declared South Africa had ironed out its long-standing regulatory uncertainties, but he warned new investors that the days of “just focusing on the shareholder” were gone. He also suggested that the Council for Geoscience (CGS) would embark on exploration having improved its mapping of untapped minerals in the country. New investors would be asked to “partner with us”, said Mantashe. “We have directed the CGS to enhance the geological map. We have also directed them to begin drilling so that when an investor comes to South Africa, we don’t start by giving them a permit for exploration”. He did not provide further details. Delivering the keynote speech at the Mining Indaba 2019, Mantashe hit the pro-investment tone that has characterised Cyril Ramaphosa’s first year in office as president of the country. Mantashe said he was optimistic about the mining sector. “If you come to South Africa you know exactly what to expect and what to do,” he said. “The charter is in line with the expectations of investors … it is safe to invest in South Africa. It is a requirement we work with one another to make sure investment is comfortable and attractive. We have given investors regulatory and policy certainty. It is now up to us to invite investors,” he said. 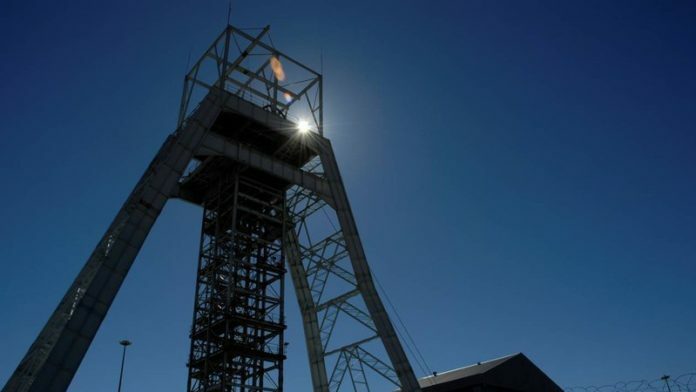 During December, the Department of Mineral Resources (DMR) gazetted guidelines to Mantashe’s Mining Charter 3, an effort described by market sources as “murky” and overly complex. The guidelines effectively brought the curtain down on a year of negotiations aimed at redrafting the previously proposed charter which had been heavily criticised. Commenting at a Minerals Council press conference before Mining Indaba proceedings began today, its CEO, Roger Baxter, said the guidelines were “workable”, including one of the more controversial elements of the Charter and its guidelines which make no reference to empowerment requirements in the event of minerals exploration. Mantashe said there were a number of challenges, however. One was how mining companies interact with nearby communities. “If there is an acrimonious relationship it is destructive,” said Mantashe. “We must show that we can co-exist with mining or mining is going to struggle. “The time for just focusing on the shareholder is gone. They [mining companies] must look after their own workers. Workers are the people who convert investment into wealth and they deserve respectable treatment by mining companies,” he said. Anglo American CEO, Mark Cutifani, described Mantashe’s address as “an open invitation” to invest in the country’s mining sector. He also agreed that more could be done in terms of how companies worked with communities: “We haven’t got the equation right”, he said after citing recent research that mining activities accounted for 45% of the global economy but disturbed less than 0.5% of the world’s environment. The biggest risk of all is still there: You still sit with the same DMR. The Minister should bring in new Officials who can sweep clean. Acrimonious:That’s exactly how you’d describe the relation DBeers had with the people of Komaggas for more than 91 years.According to the Mining Law any mining company are obliged to let the communities share in “their” wealth.Who’s wealth? Komaggas’ wealth! Mr Mantashe should pay close attention to the wrongs that were done to the peoples of Namaqualand in particular those of Komaggas,Buffelsrivier,Soebatsfontein,Hondeklipbaai and the other townships surrounding the DBeers mine Kleinsee.Look at the sorry state these townships are in,no tarroads no electricity no progress!What! A little to late won’t u say!To now come with all the honey around the mouth!DMR should explain where DBeers got his Title Deed dated 17April 2012 while all of us the people know DBeers mined on our land then illegally if the title deed’s date is taken into account! Who’s land were abused,mined from 1925 up until now!Prospect right were asked in 1927 of the then guardians of Komaggas (farm200)No restitution or fees or anything were paid to the communities nothing! There is a lot of explaining to be done by DMR and the ministry or government apartheid and existing government must explain! Where is our %of annual growth! Please explain!New Laws New Government New Management! (Government Officials)like Geoffrey Oliphant etc must explain why SA Law (prticually) mining law could be changed from illegal to legal for acertian period of time!Where did DBeers ask permission to buy our land no correspondance were done with the Holders of the Title Deed (Original) oneKomaggas(farm200) people!So where did DBeers optain that Deed! ?IWere they under the illusion that we the people are ignorant!?Surprise! We know! Who’s sitting at topstructure of Company West Coast Resources who bought 6 mining rights from DBeers?Guess you suspect?Family of the ministry! Now where does this leave us the neglected people! ?We are going to board the next train into DeBeers!